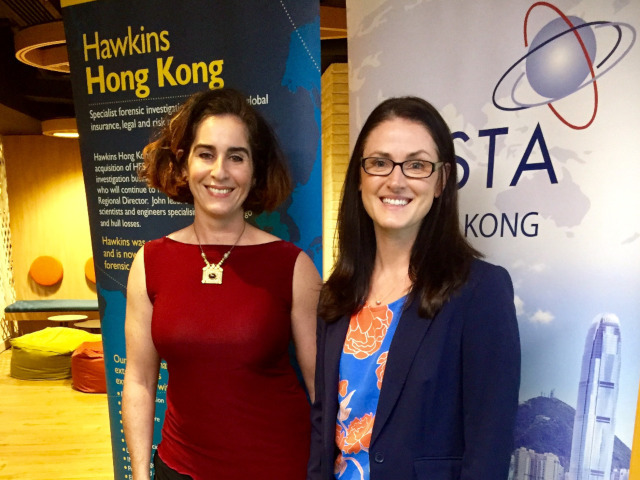 As part of the Hong Kong Maritime Week program, Hawkins hosted a debate together with the Women’s International Shipping & Trading Association (WISTA). Hong Kong Maritime week included activities and conferences surrounding the themes of: Maritime Law & Arbitration, Marine Insurance, Ship Finance, Ship Management, Port & Logistics, Maritime Technology, and Education & Career. Captain Ken Ellam of Solis Marine, Bjørn Højgaard of Anglo-Eastern Univan Group, and Vanessa Toucas of Latitude Brokers debated for the Affirmative Team, while Zhou Shan of DNV GL, Petty Leung of Storm Geo, and Peter Glover of Norton Rose debated for the Negative Team. Investigators Dr John Allum, Ms Jessica Ng, and Mr Gary Hotchkiss also attended the debate from Hawkins’ Hong Kong office; and Dr David Rose attended from Hawkins' Singapore Office. Hawkins’ Managing Director, Dr Andrew Moncrieff, attended from Hawkins’ Cambridge Office as well.